A FIERCE AND FLIRTATIOUS ENSEMBLE. 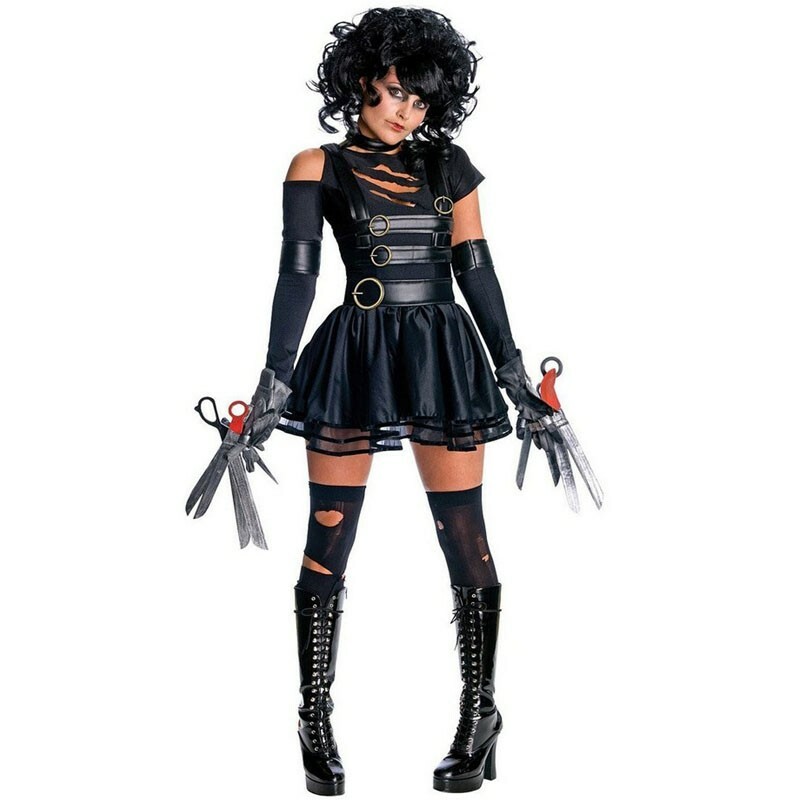 Transform into an eccentric beauty in the Edward Scissorhands - Miss Scissorhands Adult Costume, which includes: a dramatic dress with faux leather embellishments and attached sleeves, gloves with faux scissors, wig with wild curls, choker necklace and a faux leather belt. Includes: Dress/Sleeves, Gloves, Wig, Choker, Belt. This is an officially licensed Edward Scissorhands product. Please note that the scissors are made from foam, not hard plasctic.